Commentary: What, another Jyn Erso? Yup! 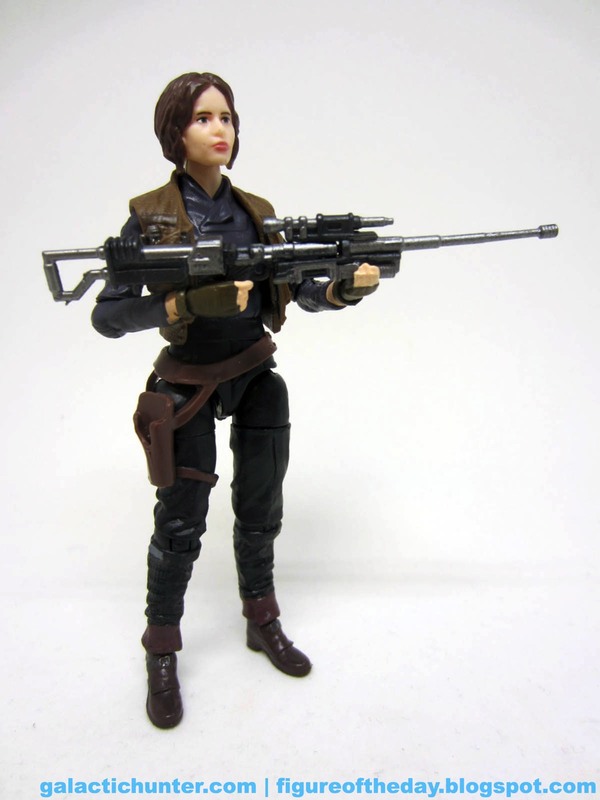 Ain't nobody able to accuse Hasbro of not making the female lead this time - or last time, the key difference is that this time Jyn Erso got more-than-equal treatment. If you have a lead in a big movie, packing everybody equally is bad for the popular characters in the perception of the marketplace - and so Jyn Erso's got a ton of cool figures available right now and more are on the way in the mail to me as of my writing this. For better or for worse, this one is a Walmart exclusive - and man alive, I hate Hasbro's The Black Series program. 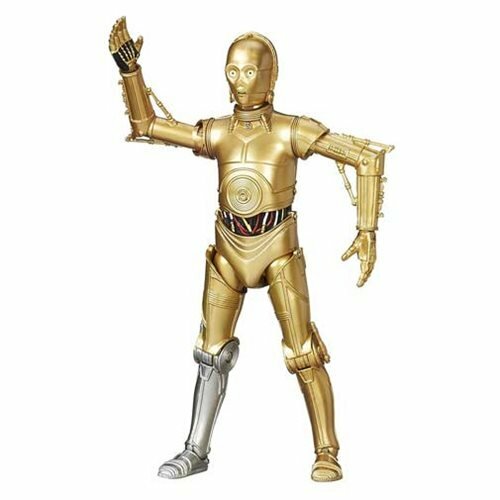 If this thing were on a vintage cardback people would be losing their minds, because it's a great figure with cool accessories at a good price. I can't imagine you not liking it. 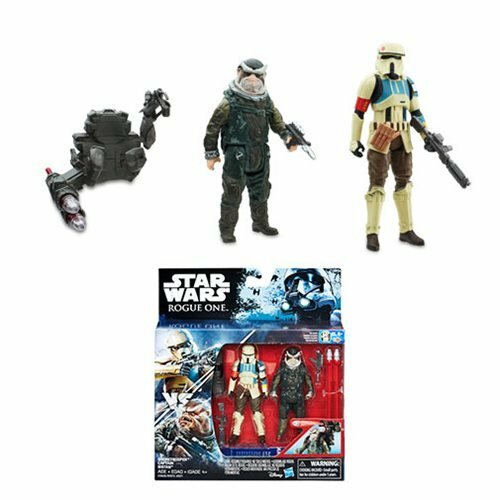 It's a slightly different version of the previous "Jedha" version, but the Black Series version loses the scarf and green jacket. It's different! 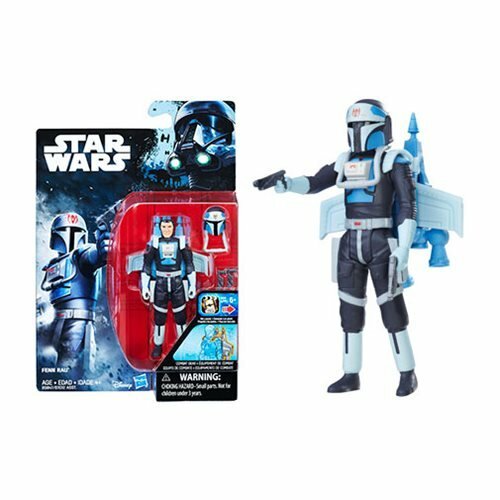 I assume all the repacks are subsidizing figures like this one. 26 points of articulation, a loose vest and holster, and a three-piece weapon make this a figure more in line with Hasbro's better G.I. Joe efforts than with Star Wars. You can be - and should be - frustrated it's not getting wider distribution. 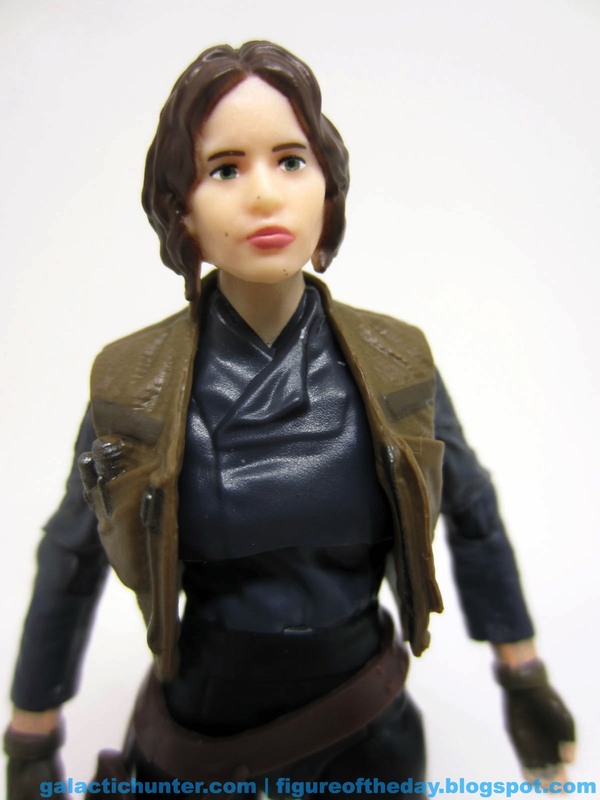 Jyn has a good range of movement, with everything you could want short of bend-and-swivel wrists - they're just swivel wrists. Her ankles aren't rockers either, but they're still quite good and she's able to hold her sniper rifle with both hands if you're so inclined. What I really love, though, are the thigh-swivels - these are necessary improvements on these figures. This allows the figures to have hips that swing forward better, so the figures fit better in vehicles. It's wonderful, and I hope Hasbro deploys them on every new 3 3/4-inch release in the super-articulated segment. Deco is good - but it was already good. The face seems a little more alive, and to my regular eyes the face paint seems to be an improvement. I love the fingerless gloves, I love the bots, and the working holster? Dynamite. 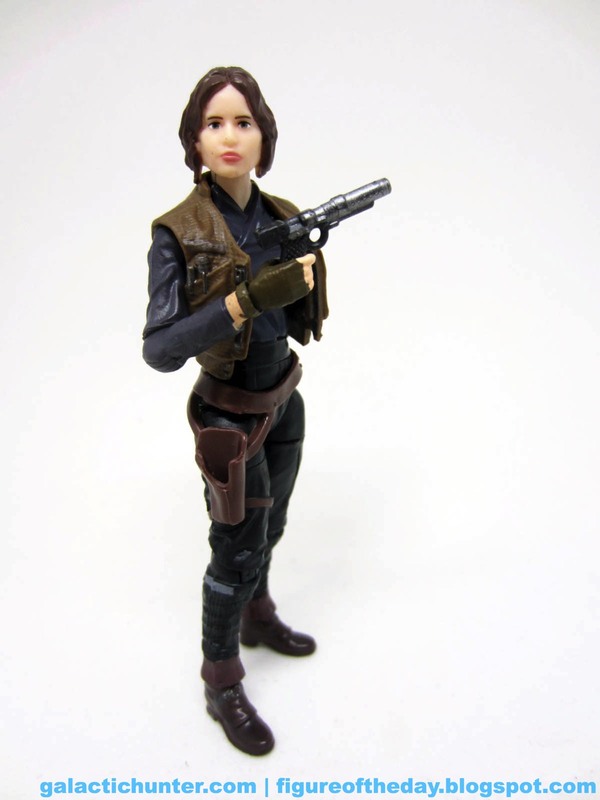 The decision to leave out the jacket - consistent with her Yavin appearance - helps make this figure a little different from the other release. I like the regular version of Jyn Erso (Jedha) [FOTD #2,301], but this super-deluxe model looks more lively. And, of course, it's barely different in terms of the costume itself. The vest being sculpted separately and open gives her an illusion of motion, and the joints... well, you get more personality with a figure given good articulation. The basic version feels like a good action figure, and this one feels like a better action figure. Get both if you can swing it - but get this one if you can only afford one of them.